No one likes to waste time. This includes your customers and prospects who are trying to locate the correct person or department in your organization. Getting them to the correct person quickly is one of the most effective ways to improve your customer service and improve sales. Why use a Call Center Service? 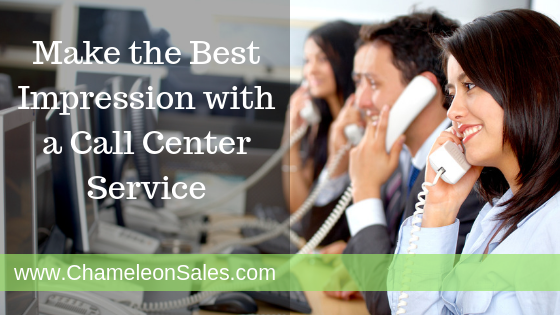 Before you decide that your company is not a good fit for a Call Center service, read on. You may decide that is will improve your bottom line over time. You never know when someone needs help or wants to place an order and has a question. This is especially true if you sell internationally. Someone may have a product question and think they need returns when in fact they should speak to someone in production. Your sales staff and production crew need focused time to get their income producing activities accomplished. If you are not happy with an agent, your service replaces them immediately and they handle training them. Labor, training, insurance, workmen’s comp, and all the other expenses incurred when hiring a person just do not exist. Phone banks, headphones, computers, and other pieces of a call center are not your expense when using a service. You are the customer and your call center service provider will make certain that your expectations are met. Hours of operation, event location change, product recall, and other timely messages can be communicated quickly. Your customer service should not be affected just because of a snow storm at your home office. Chameleon Group is your Call Center Service provider for all of the reasons listed here and more. Setting up a proper gatekeeper is essential for productivity and efficiency. At Chameleon Group, we provide every caller with a personalized, professional calling experience. And we provide our Call Center clients with exceptional quality service. Give us a call to discuss how we can partner with you for success.